Kenneth N. (“Ken”) Hodge is a lifelong resident of Virginia. 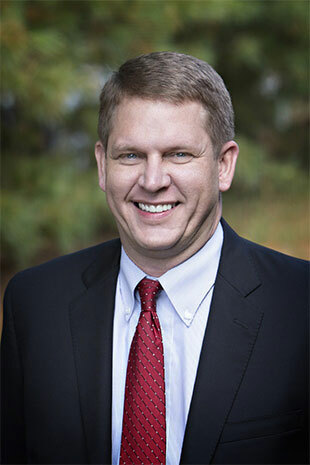 Ken grew up in the Richmond area and attended Monacan High School in Chesterfield before moving to Charlottesville to attend the University of Virginia in 1989. After receiving his Bachelor of Arts Degree in Psychology from UVa in 1993, Ken attended George Mason University School of Law. Ken received his Juris Doctor from George Mason in December 1996 and was licensed to practice in the Commonwealth in October of 1997. Before entering private practice, Ken worked for several months as a Law Clerk for a constitutional law firm in the Washington D.C. area. He then moved to Roanoke and began practice in a small general practice law firm, concentrating primarily on family law and criminal defense, while also handling civil litigation, personal injury, and bankruptcy cases. In 2001, Ken took a position with a well established domestic relations law firm in Arlington, concentrating his practice in divorce and family law. Ken took an associate position with our firm in 2005, and accepted a partnership the following year. He has continued to concentrate his practice in divorce and family law, while also handling criminal defense matters that arise from family law issues. Ken’s primary practice areas are divorce, marital property division, marital separation agreements, child custody, child support, visitation, spousal support, and domestic abuse. Ken is a member of the Fredericksburg Area Bar Association (FABA), Family Law Section, and the Virginia Trial Lawyers Association (VTLA), Family Law Section. He was the Chairman of the FABA Family Law Section in 2011-2012. Ken has authored a number of articles on divorce and family law that are available on this website. Though he currently practices in the Fredericksburg area and surrounding counties such as Stafford and Spotsylvania, Ken has practiced and litigated cases in numerous jurisdictions throughout the Commonwealth of Virginia during his career, including Fairfax, Prince William, Arlington, the City of Alexandria, Loudoun, Winchester, Albemarle, Roanoke (City and County), Salem, Franklin, Bath, Bedford, and Botetourt. I investigated many firms prior to hiring Mr. Ken Hodge to represent my case. He handled my situation with the utmost professionalism and I was very impressed with his quick response time, calm nature and sound judgment. His expertise, guidance and sage advice gave me comfort during my divorce. I know Mr. Hodge was busy with many cases, but he always made me feel like I was his only case. Furthermore, the staff at Rinehart, Butler, Hodge & Moss Firm is incredibly friendly. I would highly recommend his winning services to anyone going through a family dispute matter. I would like to express my deepest appreciation to the Law Firm of Rinehart, Lowery Butler & Hodge for its outstanding work concerning my case. The Firm exceeded my expectations and the outcome of the case proved to be a wonderful success. In victory, the Firm has set a standard for other lawyers and firms to emulate. To its credit the Firm displayed very high standards of professionalism in all matters, during an emotional and difficult Family Law Action. Its quality of judgment, commitment, mental and physical energy was unsurpassed. I especially want to commend Mr. Kenneth Hodge for his professionalism, competency and excellence. His skill set and staying power proved timeless. He skillfully communicated my case to the court with exceptional proficiency. As a result of his actions, my respect as well as the respect of my family was won for his Firm. I also want to commend Ken and his team for the manner in which they introduced and discussed information with me. Such communication proved to be grounded on sound, factual and objective information; such discussions were based on an excellent understanding of the law, rather than on bias and emotional opinion. I unequivocally have and will continue to recommend the Law Firm of Rinehart, Lowery Butler & Hodge for its exceptional service, knowledge, and expertise. Ken Hodge was thorough, prompt, compassionate and successful with my case. His willingness to take a complex case and quickly discern my values and priorities in pursuing it were helpful during a difficult time. I recommend his work without reservation. His assistant was accesible and courteous; their practice offered efficient and effective representation that more than met my expectations. I just wanted to take the time to say thank you for all your work that you did for me. I don’t know where I would have been without your help. You a fantastic job and always gave me advice when I didn’t know what to do or advised to go about doing something another more productive way, You always had my best interest at heart and I knew that you would fight to protect that. I always felt that I was your only client from day one whenever I was with you and that you had it covered. You made going through a divorce as pleasant as can be. You kept me laughing when I felt like crying. Divorce is a trying time for anyone and it helps to know that you are supported by the best. When I first started at your firm, you were not a partner yet. You don’t know how thrilled I was to hear when you made partner. If anyone deserved to be made partner it was you. You were and continue to be a very dedicated trustworthy, and moral lawyer. Without going into specifics of my case I remember a time when the judge started without my ex husbands lawyer present as he was still in another courtroom and when his lawyer did come you stopped your opening questions and made sure that his lawyer was up to speed with everything that was said. I want you to know that truly impressed me. As our time as lawyer and client has come to an end I just wanted to say that I appreciate everything you have done for me. I would highly recommend you and your firm to anyone needing a lawyer. If I ever need a legal advice again I will be looking you up. Thank you again and I wish you nothing but continued success.